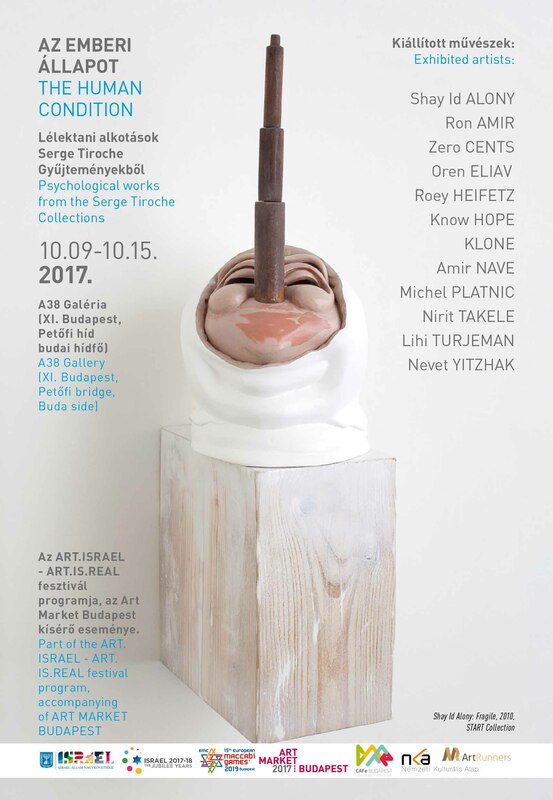 This exciting collaboration with Art Market Budapest will feature selected works from START and Serge Tiroche's private collections. Titled "The Human Condition", the exhibition focuses on psychological works by a dozen artists that bring to the fore the diversity and complexity of Israel's contemporary art scene. Born in the 70’s and 80’s, these artists work in multiple mediums and practices, yet are all committed to map the complex fabric of Israeli society, reflective of their diverse origins and cultures. Their works both represent an aesthetic investigation on psychological phenomena and an intellectual approach of political and cultural issues. Either mirroring real life situations or turning everyday observations into absurd associations, the artworks speak of personal and universal problems at a deep, emotional level, with a regard on the visual iconography of their antecedents. Taken from Serge Tiroche's collections, the seemingly disparate selection potently explores the collector’s interest in works that decipher, explore and untangle the Human Condition. START was founded in 2008 in order assist artists, curators and collectors make their first steps in the art world, and to promote Israeli contemporary art internationally. Funded entirely by Serge Tiroche, the START collection amassed over 700 works by nearly 150 Israeli artists, working in all mediums. It is most probably the largest collection of Israeli Art from the new millennium.